Warning! Working with lighter fluid can be dangerous. Do not smoke or use any electronic device within the vicinity of the fluid as it may cause fire. Only use outside in a well ventilated area. Do not place rubberized tin in direct sunlight! Breathing the fumes from lighter fluid may cause light headedness, dizziness, nausea or headache. Adult supervision required. Carrying lighter fluid with your portable charcoal grill is essential. But the minimum quantity of charcoal lighter fluid they sell is several times larger and heavier than your hobogrill itself. Who wants to lug that around? Besides, that defeats the purpose of portability. The solution? To carry around just 4 ounces. 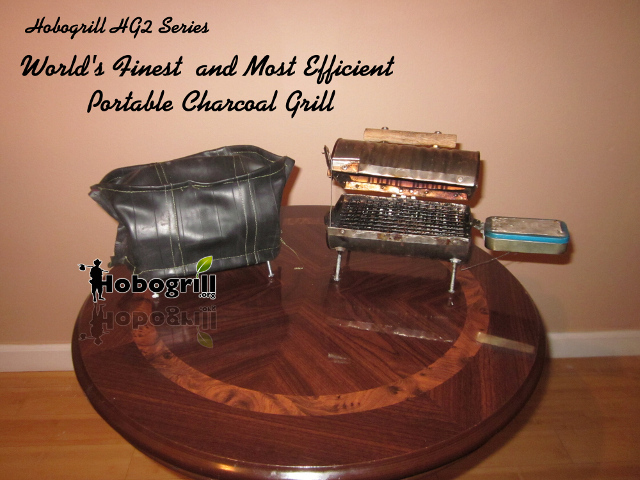 A 4oz lighter fluid tin fits perfectly inside the Hobogrill HG2 or HG2-Deluxe models. 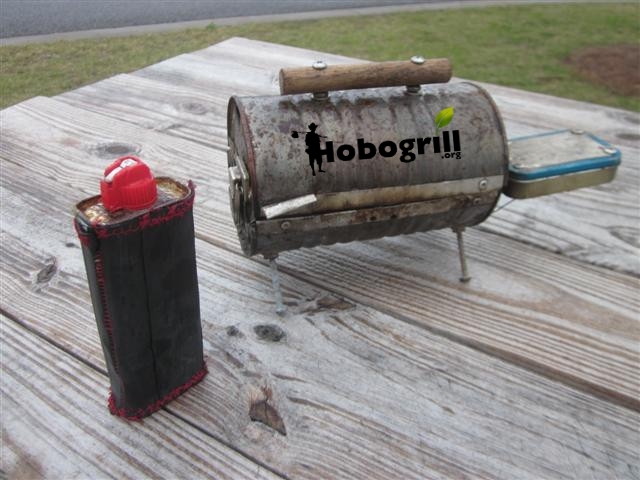 Four ounces of lighter fluid can provide enough charcoal for 10 to 20+ lights on the hobogrill. One can usually buy a Zippo brand lighter fluid tin from a tobacco or cigar store. The tin itself should cost around $2.99 and comes full of cigarette lighter fluid. What to do with fluid inside? You can use this fluid directly as lighter fluid to light the coals. Yes, it's refillable. You might be wondering how to open the small 4 ounce lighter fluid tin so you can refill it. The small plastic dispenser portion of the lid doesn't unscrew. One must take a flat but sturdy object (such as a slotted screw driver) to pry the lid off.